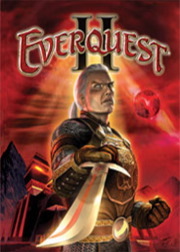 EverQuest II is the continuing story of the hugely successful online gaming phenomenon. The online version is setting new standards in MMORPGs and likewise the new EverQuest II Player's Guide creates a new standard. Published under the Open Game License, it features a streamlined system that is 100% compatible with Open Gaming material. Sixteen races, 28 character classes, and a new Norrath will appeal to gaming veterans as well as a whole new generation of gamers. Sign in to start a discussion about EverQuest II: Player's Guide (OGL)!